Are you like me today? My alarm went off and I laid there debating on whether or not I could afford to sleep for another few minutes…or hour. But deep inside, I knew I had an appointment to keep, and it was vitally important that I keep that appointment with my Heavenly Father. 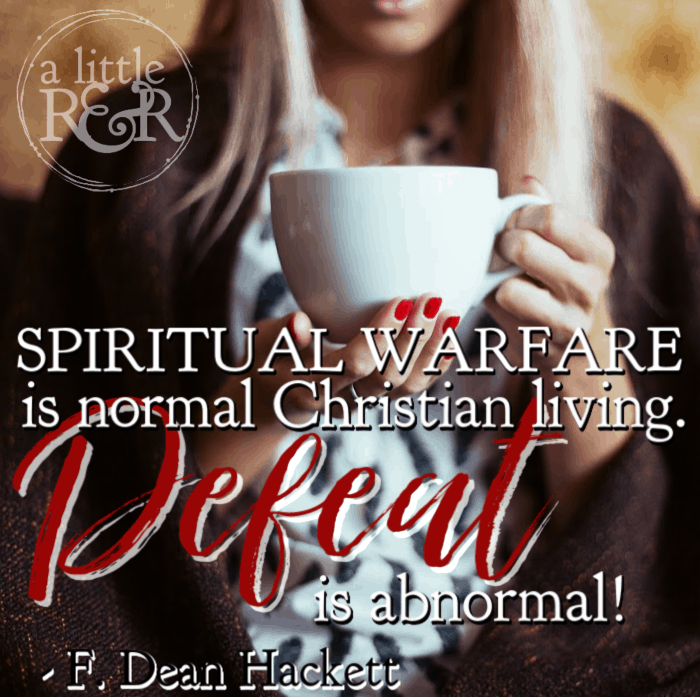 Sometimes spiritual warfare is exhausting, and for several reasons. These are some things that can causes us to grow weary in spiritual warfare. 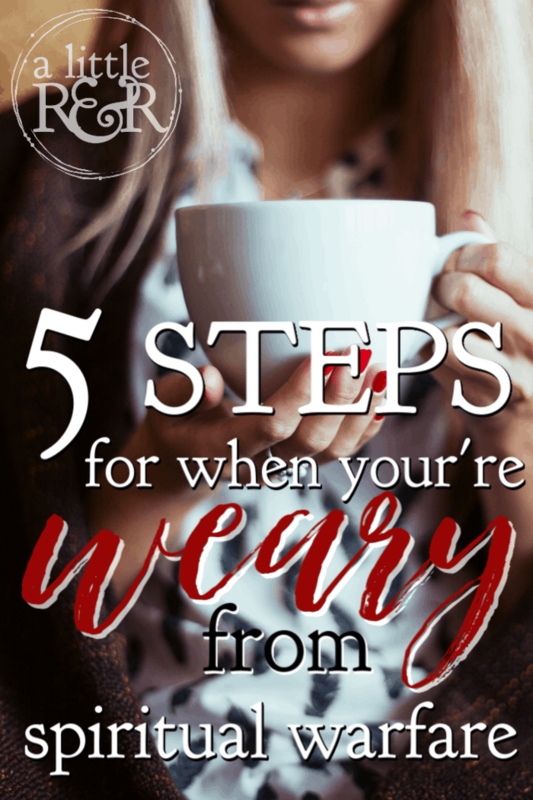 And the enemy would love nothing more than to keep us in this state of weariness, especially if he thinks that our weariness will prevent us from getting up and doing the very thing God has called us to do. 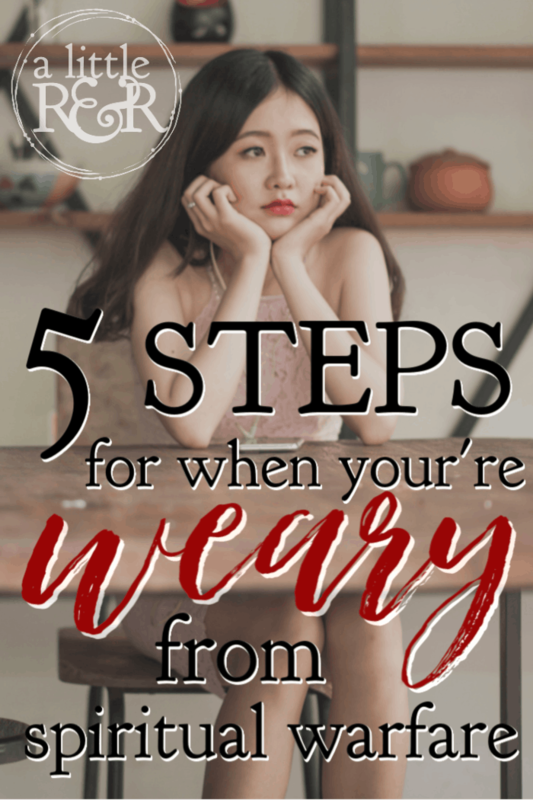 Weariness is one of his most well-known strategies! Weariness is common in battle. Ask any solider who has been in battle. The days are long and the nights are short. The stress of combat quickly takes its toll on their body. It’s no different for the solider of Christ. But inner strength and character are built when we refuse to allow weariness to hold us back from our divine calling to go to war against an enemy we can’t see. Here are 5 ways you can warrior on in the strength of the Lord. I wont lie. Everything in me was protesting as I shuffled downstairs this morning and with bleary eyes made my first cup of coffee. I sat down in my favorite chair with my cuppa right next to me on the end table, sunk my head down in my hands and just started to pray weary prayers. I was tired, but it was sweet. And God met me there. Suddenly, the reason why I was there grew clear to me and something began to rise up within me – because the truth overcame the lies the enemy had tried to whisper in my ear while lying in my warm comfortable bed. When you’re weary and tired from battle, you can listen to the lies of the enemy and let them capture you in their hidden net of passivity, or you can get up anyway and go to war! As I sat here this morning with my head in my hands, trying to silence the lies of the enemy that my battle was over, I had this nagging feeling that there was a deeper reason for the battle than the one being whispered to me. But the deeper reason is what immediately caused something of holy unction to rise up inside of me and go to war. No – that battle is far from over. But I needed to be reminded that while the victory in the 2nd battle may be seen in flesh-and-blood circumstances, the 1st victory is 100% spiritual and needed to be fought entirely in the spirit. The consequences of defeat are far to dire to risk not going to battle. If I have to crawl to victory on bloodied knees, I will! 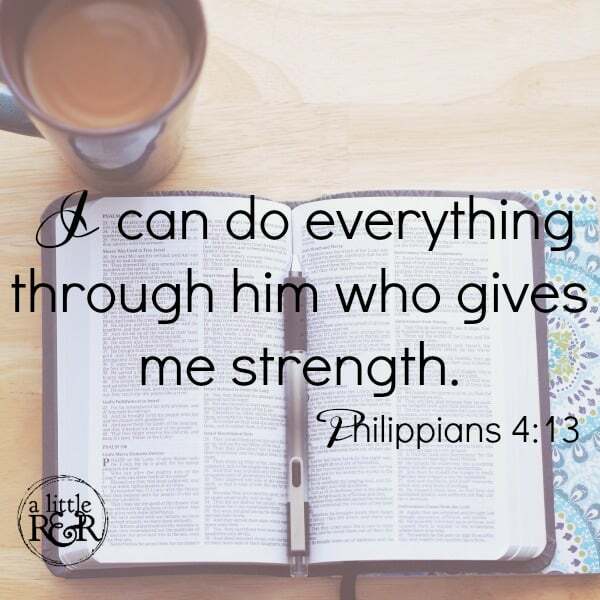 It took physical strength to get out of bed and come downstairs to meet with God, but as I began to pray, I felt a supernatural strength surging up inside of me leading me to earnest prayer. 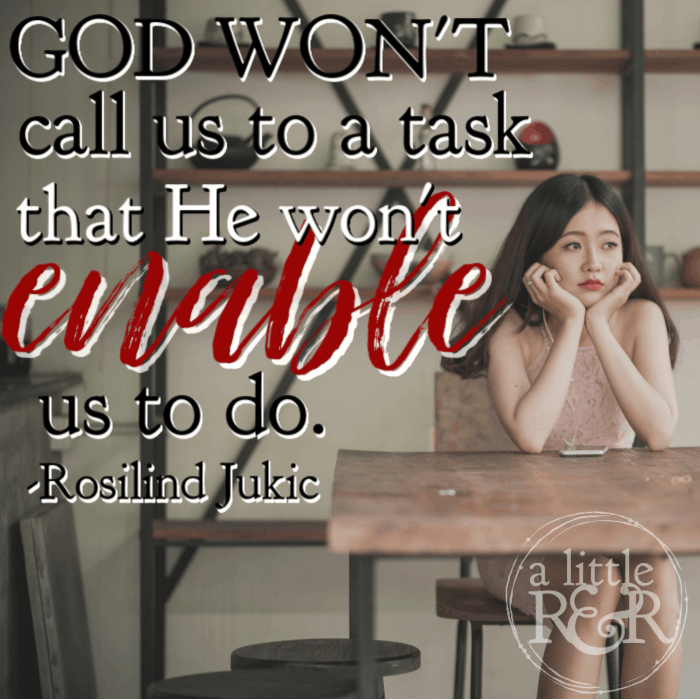 God will not call us to a task that He won’t enable us to do. We have neither the strength nor the ability to go into a spiritual battle without His strength and His arm leading us there. Going into a spiritual battle on our own is dangerous and deadly! Let God teach you how to both rest in Him and fight in His strength at the same time. It is a beautiful balance of rest and war. In Exodus 17 we read about how the Amalekites went to war against the Israelites while they were still wandering in the desert. As it turns out, when Moses raised his hand, the Israeites would gain the upper hand, but when he let his hand down, the Amalekites would gain the upper hand. All day long, until sundown, the Israelites battled the Amalekites. 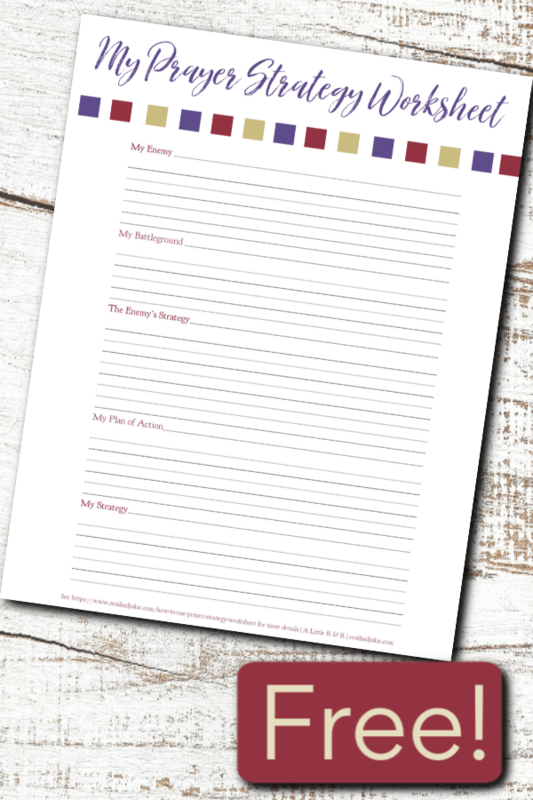 Get this Prayer Strategy Worksheet right in your inbox when you type your email into the form at the bottom of this post! 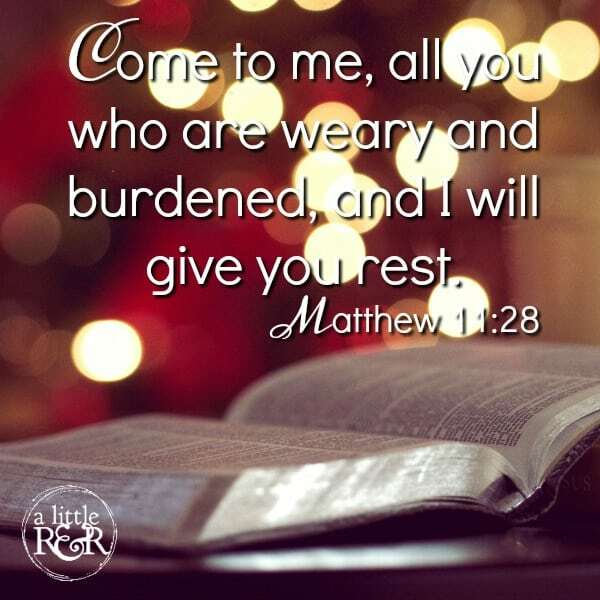 As you can imagine, Moses’ arms grew tired and heavy, so Aaron and Hur found a rock for him to sit on and then they stood on either side of him, propping his hands up until the Israelites won the battle. Do you have an Aaron and Hur? Do you have those trusted spiritual warriors you can turn to in times of war to help you wage this spiritual battle? Call on them and let them join with you as fellow warriors in this battle until you gain the victory. No solider can battle on day and night without reprieve…without taking time to refresh his body and soul. And while a spiritual warrior needs physical and mental refreshment, too, he also needs spiritual refreshment. When we go to relax, it is tempting to want to just escape in a good book or movie, a Netflix binge or whatever our favorite hobby is. And there is nothing wrong taking some time for recreation, but, don’t forget to take some time to refresh your spirit. A good book or movie, playing a round of golf or volleyball, will not refresh your spirit. Take some time in God’s Word, finding those books and passages that will refresh your spirit. 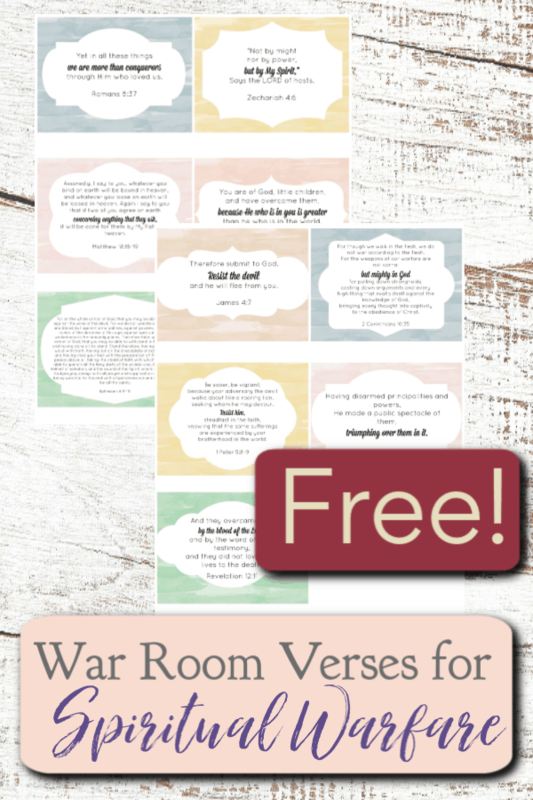 Add to that some resources for deeper study, doing Greek and Hebrew word studies, or even find a great book by a trusted author on the topic of the battle you are fighting right now. The greatest refreshment for our spirit is God’s Word! Physical weariness is normal; but spiritual weariness is a danger signal. Dear sister, choose today to get up and fight your battle in the strength of the Lord, but do these five things that will help you stay strong as you do! Get my 30-Day Prayer Challenge for Spiritual Warfare. 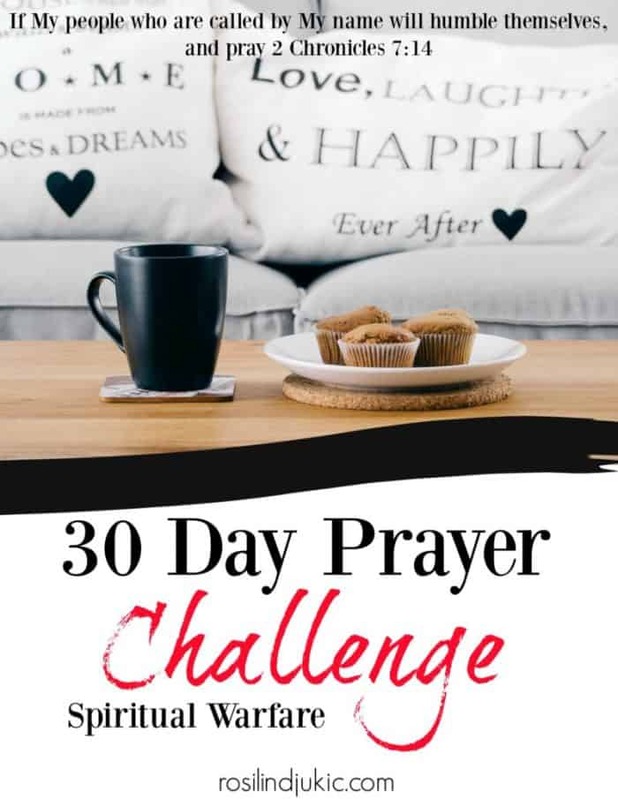 In this prayer challenge you get 30 verses on spiritual warfare, space to write out the verse or application from the verse and a prayer to the Lord.